Clackamas has a long growing season. For homeowners, that means tree pruning, shaping, trimming, and even tree removal are part of life in Clackamas. Given the difficulty of these tasks, we often recommend using certified arborists to do the job. 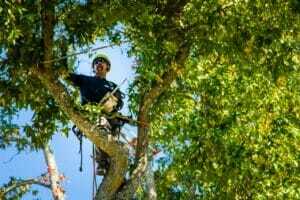 Urban Forest Pro has 15 years experience of tree removal and tree pruning in Clackamas. For trees that look unhealthy or threatening to the home, we can determine the best course of action and provide a free estimate for the work. Sometimes, either due to declining health or hazards to the property, tree removal is the best course of action. Our certified arborists have the equipment and experience to remove trees of all sizes. Clackamas can be subject to inclement weather, and it’s especially during these seasons when tree removal may be necessary. We strongly advise homeowners to not remove their own trees, especially around storm season, and to seek professional arborist services in emergency situations. We can have the tree removed and cleaned off the property as promptly as possible. While some pruning can be done at home, major pruning work is best left to the professionals. Too many hazards exist when dealing with heights and power equipment to leave to inexperienced care. Plus, without the right training, improper pruning can result in unwanted damage to the tree. Our tree pruning services can prolong the life of your trees and enhance the overall landscape of your property. We also offer shaping and trimming services, too. Our team at Urban Forest Pro are licensed, bonded, and insured. 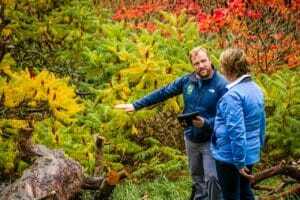 For over 15 years, we have been servicing the trees and properties of Clackamas, and take pride in providing cost-competitive, efficient, and professional care. For a free estimate, call our office at 503-226-7143.